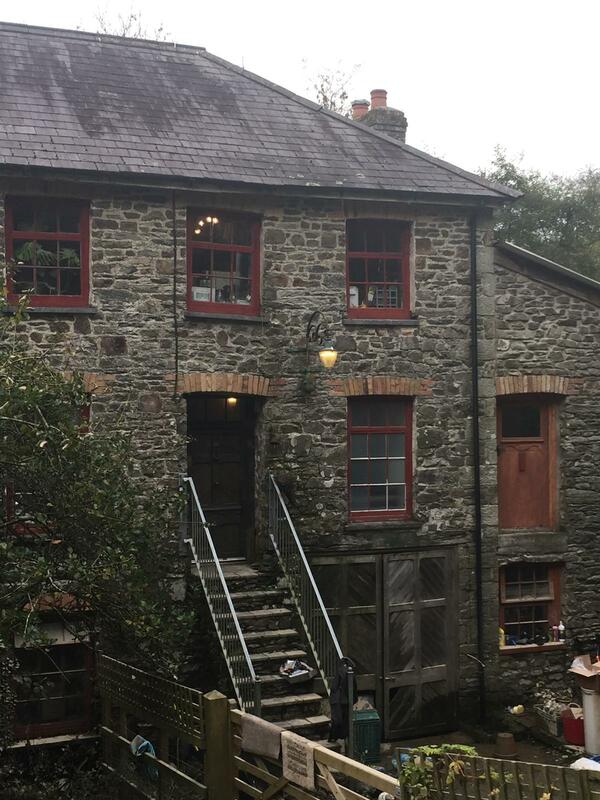 A beautiful mill building with an old oil boiler in the basement and a solid fuel Rayburn in the living quarters. 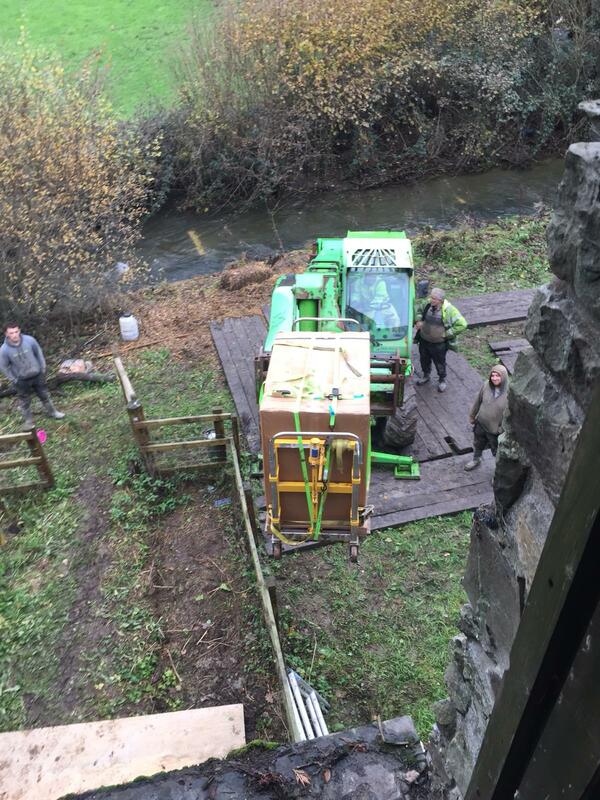 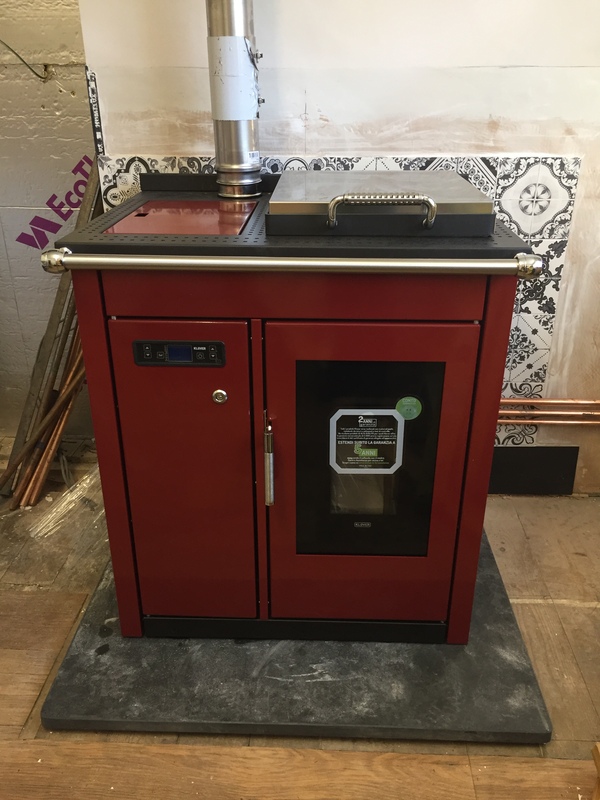 A flood destroyed the oil boiler and with a two week old baby and dropping temperatures a financially viable solution had to be found quickly. 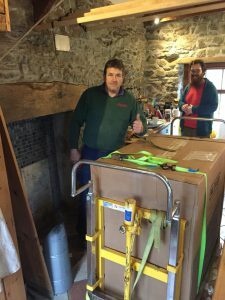 By replacing their solid fuel Rayburn and switching to a renewable heating source Anna and Gruff qualified for RHI (renewable Heating Incentive) payments to offset the cost of a new heating system. 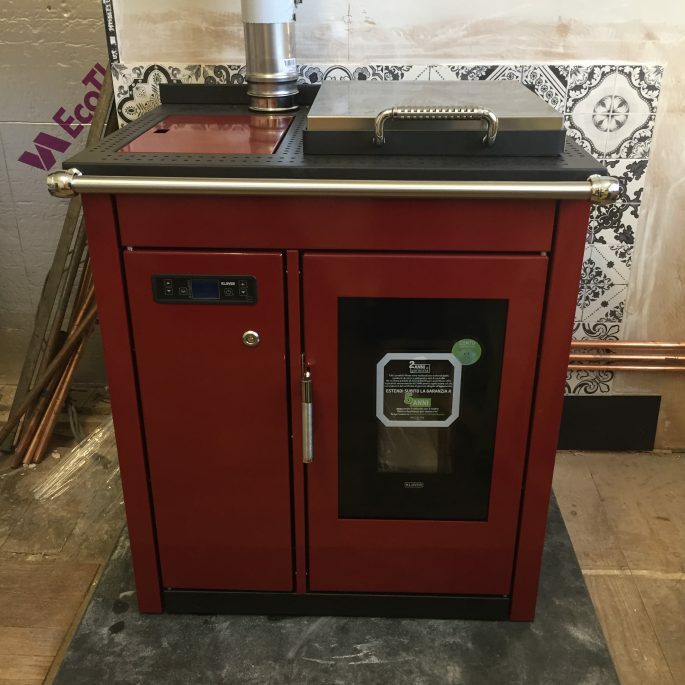 They chose a stunning red Klover Smart Biomass Boiler Cooker which supplies their hot water and heating. 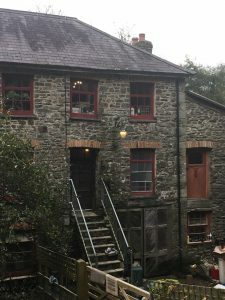 Fully automated it also helps them to manage their time better and by being able to move it into the upstairs living quarters the heating is now safe from future floods. 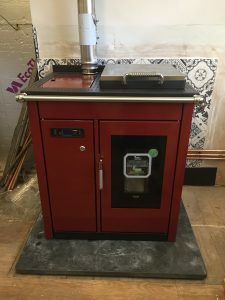 The system qualified for the RHI (Renewable Heating Incentive) payments, a governmental scheme to encourage switching from solid fuels to renewable energy sources. 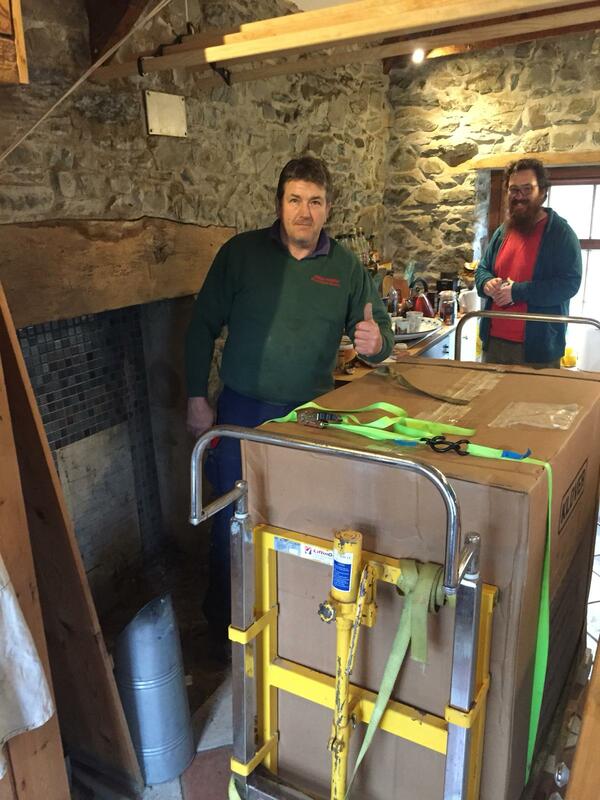 Over seven years the payments will offset the cost of a new heating system.